Former Secretary of State Hillary Clinton says “there’s no national emergency” at the U.S.-Mexico Border. In an interview that aired Friday on Showtime’s “The Circus,” Clinton suggested President Donald Trump was merely “frustrated” at his inability to push border wall legislation through Congress and was resorting to other means of getting his way. 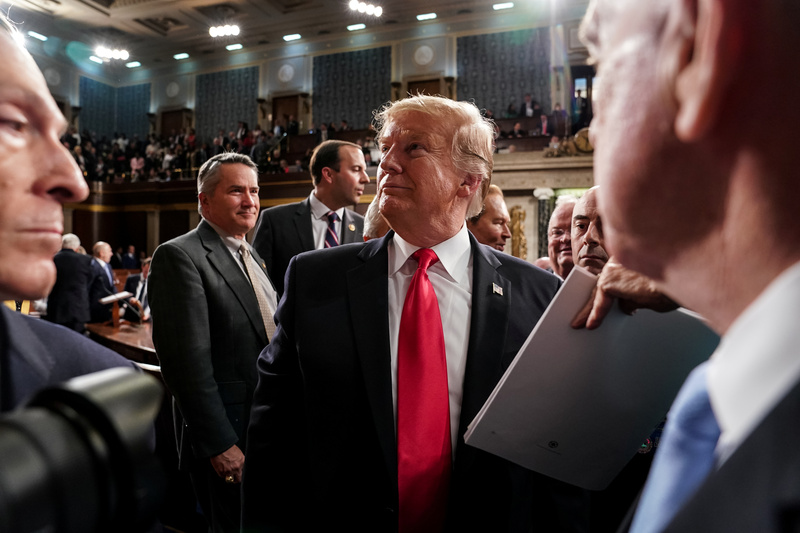 President Donald Trump after the State of the Union address at the Capitol in Washington, DC on Feb. 5, 2019. Doug Mills/Pool via REUTERS. However, reports indicate an increasing number of Democrats actually side with Trump on the wall and are willing to support funding it.